On April 28th – 30th, 2017 SciTeeX Group showed, among other things, pneumatic blast room type CABILUX with automatic abrasive recovery system. The equipment of partners cooperating with SciTeeX was also presented: blasting pressure pots of ACF, powder paint applications of SAMES, infrared dryer technology of SUNKISS, the company, that SciTeeX has been cooperating for over 20 years with. In the Anti-Corrosion Technology and Surface Protection Fair participated about 100 exhibitors and 13 000 visitors. As a top priority the Company has set provided their employees a modern and healthy workplace that promotes creativity and ensures well-being. The new office provides more than 750 m2 of office space, 4 meeting rooms and access to the conference room for over 120 participants. 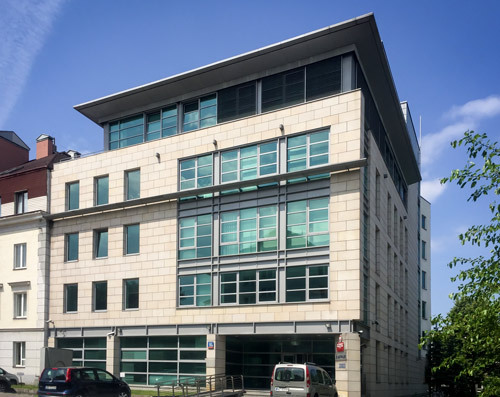 The new office is located in the cameral office building at Sapieżyńska Street in the downtown area of Warsaw, surrounded by the historic tissue. of the New City. 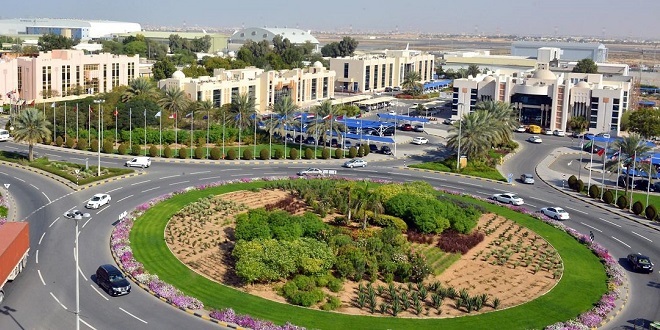 Good communication and neighborhood of hotels and numerous dining options, completes the attractiveness of the new location. After 6 years of dynamic presence in the GCC region (UAE, Bahrain, Kuwait , Oman, Qatar, Saudi Arabia) SciTeeX decided to strengthen its position through setting up of the SciTeeX Middle East FZE (100 % of capital from SciTeeX Sp. z o.o.) in SAIF, Sharjah UAE. The aim of the SciTeeX Middle East is comprehensive customer service, local coordination of projects and service activities. 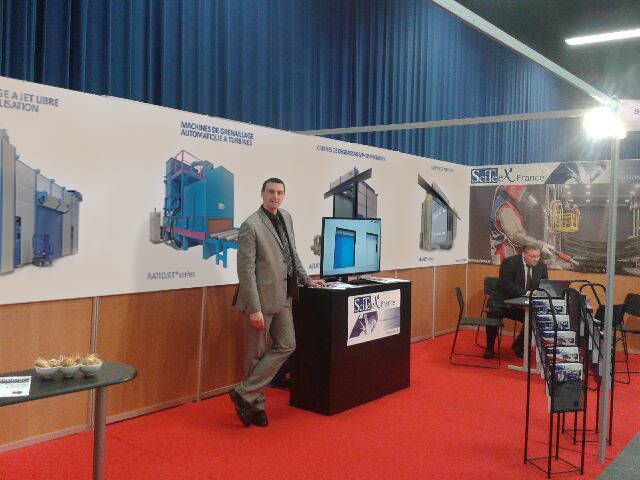 SciTeeX Group once again presented innovative products at the fair INDUSTRIE PARIS. Among 850exhibitors and 20, 000 visitors SciTeeX Group as the only one presented a complete shot-blasting chamber CABILUX II with modern LED lighting. 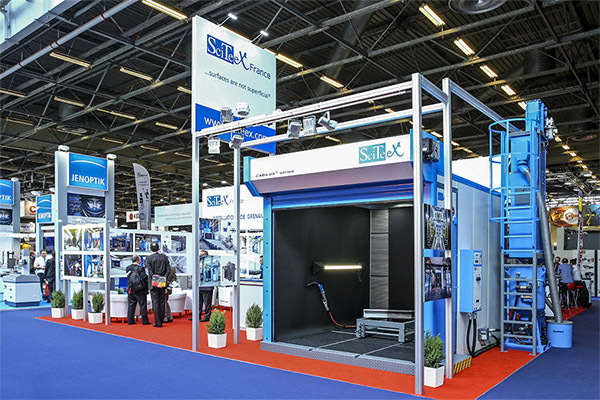 SciTeeX, as only one of 400 exhibitors at Surface Technology, presented to over 220 thousand visitors a blastroom completely assembled respecting the size restrictions of the stand. Surface Technology 2015 was cooperated with Sunkiss MATHERM - SciTeeX partner in the field of IR radiation for more than 20 years. We are pleased to announce the investment made by SciTeeX Group in the RAPP Zastava factory in the region Gruza in Serbia. The factory that manufactures equipment for the oil platforms was solemnly opened on 9th October 2014. The value of the investment is amounted to 6.8 million euros. With this realization plant area was tripled and a double increase in production capacity is planned (www.rappmarine.com). 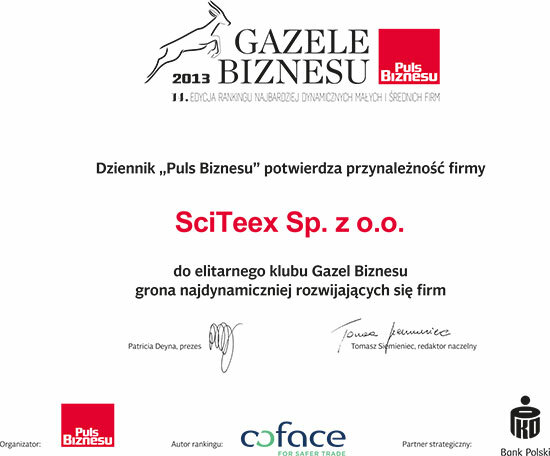 The Coface Company’s (www.coface.com) ranking confirms that SciTeeX is one of the most dynamically developing companies in Poland. 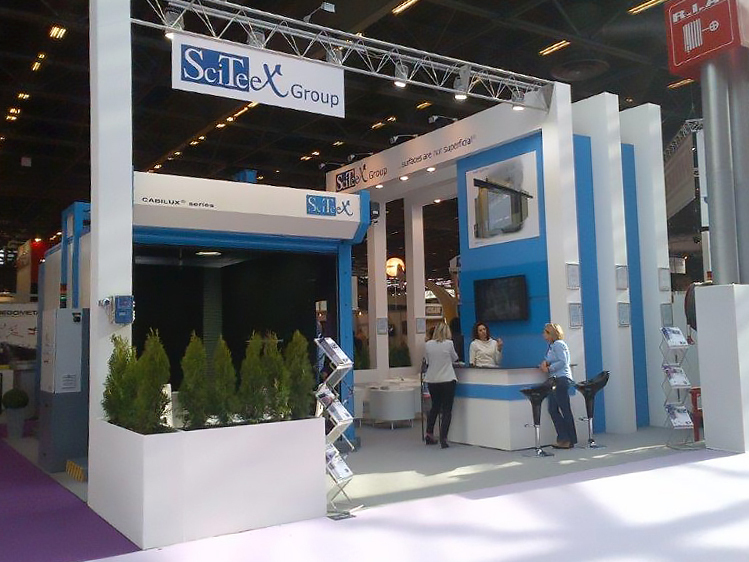 The SciTeeX Group participated in the INDUSTRIE PARIS 2014, the largest Industrial Fair in France. The Fair was an opportunity for more than 1000 Exhibitors to present their newest achievements to more than 25 000 visitors. 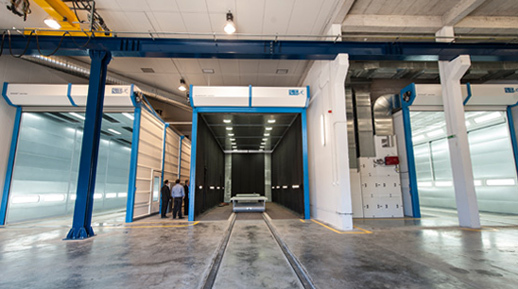 SciTeeX was the only company to demonstrate a complete CABILUX Blastroom, which represents a complex solution in the surface preparation area. Cooperation of the SciTeeX Group with ACF has fruited in a mutual Exhibition Stand at the HANNOVER MESSE 2013. 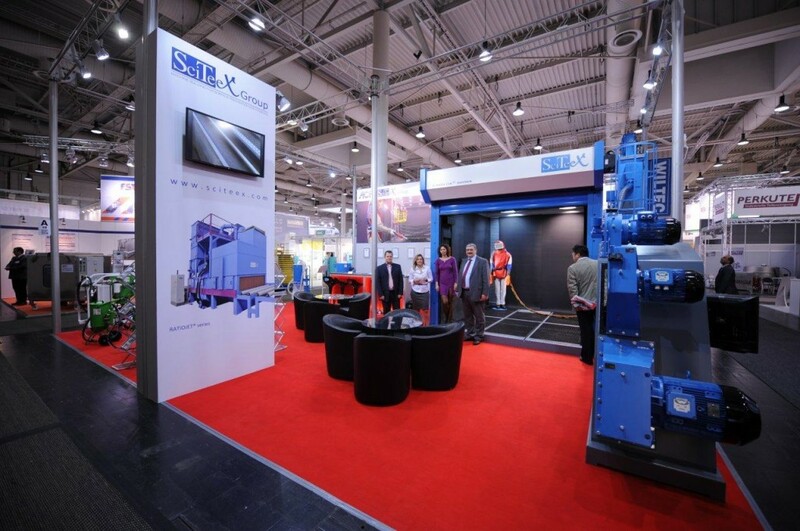 Of all the HANNOVER MESSE 2013 Exhibitors, SciTeeX was the only one to show a complete blastroom. New generation Cabilux Blastrooms, Series II, are characterized by, among other things, an LED illumination system..
SciTeeX France was an Exhibitor at the Anticorrosive Painting Meetings, 2nd Edition, Paris, 2013. This Event provided also ample opportunities to take part in numerous Conferences and Trainings.